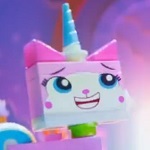 mylittleremix.com • View topic - It's finally started, and I want to share it. Board index ‹ Pony Fandom Discussion ‹ Pony Fan Works Gossip ‹ It's finally started, and I want to share it. It's finally started, and I want to share it. Overwhelmed by the odds of a new threat Twilight and her friends find a portal to the human world and traverse through it to find help. Rainbow Dash meets a girl who is then magically granted a sword to ward off the evil minions that have followed them to the human world. Honestly I'm glad I didn't go through with this, especially since Equesteria Girls introduces the multiverse concept to MLP. Of which any human to goes to Equesteria would become a pony... Anyways I'm getting off topic. Point is I had a first concept inspired by the videogame Darksiders that I reworked, and rebuilt from the afore mentioned concept for G5. It involved a unicorn traversing from her world to Earth in search of her destined "rider" before she meets a girl, and they fight off monsters, and traverse back to the unicorn's home world. Rebecca sat at her desk, as she gazed at the locket, before it glowed once more. The locket yanked itself from Rebecca’s hand, before it landed at the base of her neck, and manifested a necklace. Rebecca tried to remove the necklace, before and aura surrounded her body, and levitated her towards her bedroom door. She covered herself, before the door opened, and she flew down the hallway, and to the entrance of her house. The door opened, and closed behind Rebecca, as she flew from her house, and in the direction of Clarissa. Rebecca gazed at the speeding ground below her as her heart raised while she saw cars past by below her. Rebecca came to a sudden halt in the middle of the road, before she landed in front of the unicorn who was running towards her. When Clarissa saw Rebecca, she slid to a halt, and sat in front of her. “Are you… My… rider…?” Clarissa asked, as she was catching her breath. Re: It's finally started, and I want to share it. God is in his heaven, and all is right with the world. ph00tbag wrote: This goes here. I don't see how since The Mystic Rider isn't a fan work, but an original story I built from scratch. But this is fine so long I get this story some exposure and build an audience for it. Well this is a music site so we're really not the best place to advertise a fimfiction in the least. You might want to try mlpforums or ponychan for that. There's a ton of writers with loads of fimfictions but they certainly don't regularly drop them off here. Hope it does well. 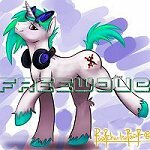 Freewave wrote: Well this is a music site so we're really not the best place to advertise a fimfiction in the least. You might want to try mlpforums or ponychan for that. There's a ton of writers with loads of fimfictions but they certainly don't regularly drop them off here. Hope it does well. Again, it's not a fan fiction, hence why I can't publish it on FiMfiction(Or maybe I can idk), and I do intend on sharing it on MLPForums, but haven't considered Ponychan, so thanks for that option... I also came across like a Rainbow Dash forum, so I'mma see if that still exist and maybe share it there.